Seize the opportunity to walk along the streets of Old Town where the late George Washington’s spirit is still alive. Indulge in the moment of honor to step on the smooth cobblestones and old red brick sidewalks. It is quite amazing how the locals preserved the rich history of the town while embracing modern life. As you explore around, you can have a quick drink or meal at one of the cafes, restaurants, or shops. In Old Town, you can definitely have a great fusion experience of both the past and the present. Museums are one of the most reliable places to find what happened in the past and see before your eyes things used by our ancestors. Thus, to know the story of the early American life in Old Town, you can tour around their historic museums, including Gadsby’s Tavern Museum, Stabler-Leadbeater Apothecary Museum, Carlyle House. The tour may cost you a little, but it’ll be all worth it. “Food trip” is an official part of a vacation. You get to know the culture of a certain place through the food they serve, especially the local dishes. Dining is a must thing to experience when you go to Old Town. Apart from it is highlighted by the whole nation because of its vibrant culinary scene, a wide variety of dishes are also heavenly. You’ll bell surprise to find lots of chef-operated restaurants. Indulge in a great set of meal in a historic-like setting! Well, you don’t have to have a great interest in Art to visit the famous Torpedo Factory Art Center, which was the former World War II Torpedo Factory. The center has the largest collection of working artist studios, in the nation which is 82 in total and are all accessible to the public. This includes painting, printmaking, jewelry, ceramics, two workshops, seven galleries, and the Alexandria Archaeology Museum. Have you ever wondered where the people behind the making of Harry Potter books and movies get their inspiration for the potions and magical tools? Well, you can find some the answers at the Stabler-Leadbeater Apothecary Museum. The museum was a historic apothecary which is in operation from 1972 up to 1933. You can find more than 15,000 items which include herbs and medical devices. As anticipated, you can see some real ingredients that were used to create potions in Harry Potter stories. You can board on one of the 8 cruises and water taxis for sightseeing. As you arrive at the marina, you get to witness some entertainment such as street performers and outdoor dining. 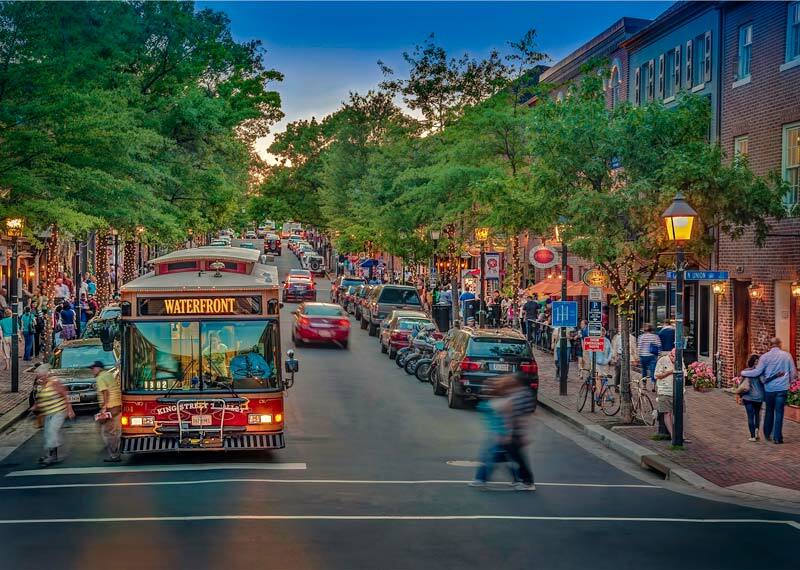 There are more reasons to include Old Town in your travel bucket list. Visit the place and know what are those.